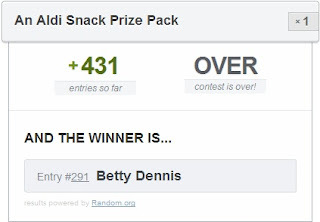 I have finally found the winner of the Aldi Prize Pack Giveaway, and I am already working on a December Aldi giveaway. If you have any ideas I would love to hear them. I would like to thank everyone, who has entered the contest.